South Kashmir areas, including the Anantnag, Pulwama, Shopian and Kulgam districts, were once again brought under their dominance by the security forces. JAMMU/SRINAGAR: Even though permanent peace remained a distant dream for the people of beleaguered Jammu and Kashmir, 2017 was a comparatively better year for the state, security forces registered huge successes against militants, mainstream politicians once again moved out to meet people, the Centre appointed a special representative for a sustained dialogue, and the common man faced fewer life-disrupting protests and shutdowns. 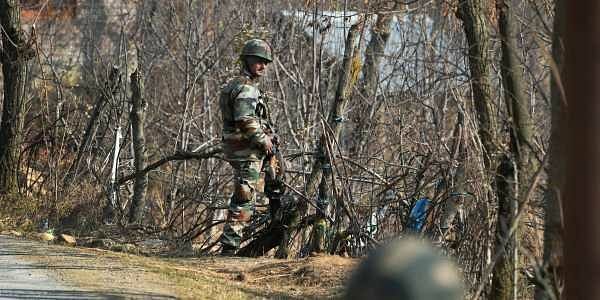 On the anti-militancy front, the security forces killed more than 210 militants in Kashmir during the year. South Kashmir areas, including the Anantnag, Pulwama, Shopian and Kulgam districts, were once again brought under their dominance by the security forces. These areas had virtually remained out of bounds for mainstream politicians during 2016 because of the presence of militants and an overwhelming public sentiment in their favour. "Almost all the top commanders of militant groups were killed this year and area dominance operations in south Kashmir have kept the militants on the run," said a senior intelligence officer who did not want to be named. From the security point of view, this is a big success, but the bad news is that ground reports suggest that local youth in these areas are still joining the militant ranks. It is precisely for this reason that the security forces, especially the local police, have been trying to persuade the youths who joined militant ranks to return and lead a normal life. The return of Majid Khan, a footballer from Anantnag district, was for this very reason categorised as "neither surrendered nor arrested" by senior police officers in the state. "He responded to the appeal from his parents and decided to come back since no message is as powerful as that of a mother to her son," state police chief S.P. Vaid said when asked to comment on Majid's return. Encouraged by the success of Majid's parents, more parents in the Valley have been issuing appeals to their children through social networking sites to give up the gun and return home. Security forces say more local youth are likely to return, inspired by Majid's decision. "We have promised not to take any action against a local youth who decides to return to his family and lead a normal life. If some of them have been involved in any crime, they would have to face the normal process of the law," said another senior officer of the security forces. In the past, there have been serious reprisal attacks on "surrendered militants" in Kashmir. It is for this reason that parents calling their children back have also appealed to militant outfits to let them return without harbouring any ill-will against them. Whether or not the "return" effort succeeds in motivating all the local youth to shun violence and lead a normal life would have to be watched. Life for thousands of villagers living along the line of control (LoC) and the international border has been a nightmare this year. The Pakistani army has violated the bilateral ceasefire 720 times on the LoC this year, killing 17 security men and 12 civilians. Each time guns boom on the LoC, life for villagers in Poonch, Rajouri, Jammu, Samba and Kathua districts goes into a tailspin. People fear coming out of their homes, schools are closed, traffic comes to a grinding halt, villagers cannot venture out to carry the sick to the hospital and even cattle are not spared by the mortars that rain indiscriminately on civilian facilities along the LoC and the International Border in the Jammu region. Promises by successive governments of allotting small pieces of land to border dwellers away from the line of fire remain unfulfilled and the only hope these people have is hoping for the impossible. "Would India and Pakistan, in my lifetime, decide to live in peace?" asked Din Muhammad, 65, a border resident in Poonch district. Politically, the situation has definitely improved in Kashmir as compared to last year when mainstream politicians had been confined to the four walls of security around them. Politicians of both the ruling Peoples Democratic Party (PDP) and the opposition National Conference (NC) have been visiting villages, towns and even areas close to the LoC to reach out to the people. In the forefront of this mainstream political activity have been Chief Minister Mehbooba Mufti and one of her predecessors, Farooq Abdullah. Mehbooba has been visiting various districts in the Valley and the Jammu region to meet delegations of people and address their grievances on the spot as far as possible. During one of her recent outreach exercises, Mehbooba had to spend the night in the north Kashmir Bandipora district because delegations kept pouring in till late evening to meet her with their problems. Subsequently, during a similar exercise in Ganderbal district, she listened patiently to the people's problems for over eight hours and directed officials to address these. Her arch rival in the National Conference, Farooq Abdullah, has visited many places in the Valley and also areas close to the LoC to oppose the PDP and its leadership for aligning with the right wing BJP for power in the state. For the opposition leaders, the regenerated debate on article 370 and 35A of the constitution has come handy while targeting the PDP. While the PDP stands to defend these special provisions of the Indian constitution, the BJP is ideologically committed to have them scrapped to ensure complete merger of J&K with the rest of the country. To bring various stakeholders together so that issues concerning the three regions of Jammu, Valley and Ladakh are resolved, the Centre appointed former Intelligence Bureau chief Dineshwar Sharma as the special representative to start a multi-layered sustained dialogue in the state. Sharma has so far visited the state twice and met delegations of mainstream political parties, businessmen, surrendered militants, sportsmen and tribal organisations et al. The separatist leaders have been keeping away from engaging in a dialogue with Sharma, although a report said recently he had met two of them while in the Valley last time. The holding of the by-election for the Anantnag Lok Sabha seat has been kept on the hold by the Election Commission on the state government's recommendations. Elections for panchayats and urban bodies are also overdue in the state. The holding of these elections, expected some time next year, would be the litmus test of democracy in the state. It is expected these would be held some time early next year. So far, the authorities have been reacting to separatist calls for shutdowns and protests by placing the separatist leaders under house arrest and imposing restrictions in areas where the law and order situation is sensitive. Syed Ali Geelani, the octogenarian separatist leader, has been under house arrest throughout this year as authorities fear his participation in separatist-called protests could result in a major law and order problem. In a nutshell, 2017 has been a year of mixed fortunes for the people in the state. While some semblance of comparative normalcy returned to Kashmir this year, permanent peace and normalcy continue to be as fragile in the beleaguered state as it has been during the last nearly three decades.